The settlement history of Tynehead was researched and written by Lloyd Atchison. The Atchison family were one of the pioneer familys to settle in the Tynehead district. Tynehead was one of the earliest settlements within the Surrey district along with Surrey Center and Cloverdale. It must have seemed an ideal location for settlement by the municipal council of the time and they probably took advantage of the survey line slashed by J.W. Trutch, who was hired by Colonel Moody to assist the Royal Engineers with surveying and surveyed the coast meridian under contract beginning in 1859. The Coast Meridian followed the 121st meridian of longitude which was to become the basis of the land survey in the Lower Fraser Valley. By 1886, settlers along the survey slash line improved it to the standard of road which was completed with three bridges over the Campbell, Nicomekl and Serpentine rivers from the U.S. border to the Townline Road (96th avenue). Along with the Semiahmoo, and Halls Prairie Roads, Coast Meridian was one of the north–south routes in the district. (See Coast Meridian Road) The district council's intention may have been to continue the road north to the Fraser River, but only a footpath was available from Tynehead to the river where steamboats picked up passengers from a landing every Wednesday and Saturday. This road changed everything for the settlers at Tynehead. Now they could travel the road south to the Yale road then west to New Westminster or go further south to Surrey Center, or turn east on the McLellan Road to pick up supplies in Cloverdale. Many of the new settlers transported goods, in season, that they could sell at the farmers market in New Westminster each weekend. 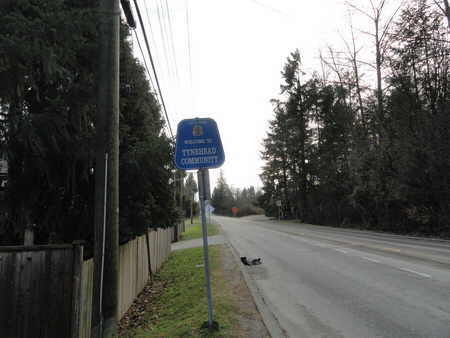 The Surrey heritage road sign indicates the location of the Tynehead community. 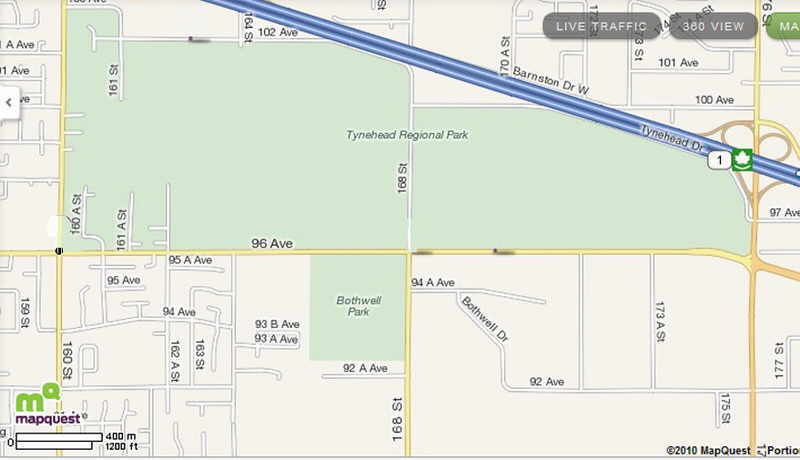 It is located in front of Tynehead Hall on 168th Street in Surrey or formerly the Coast Meridian Road. The Atchison Barn was one of the original barns constructed by the Atchison Family on part of their pre–emption in Tynehead. Many of the Tynehead men could get temporary jobs in nearby lumber or shingle mills to help pay the bills. Many were able to work for the district building roads or bridges as my grandfather George Atchison did. He got the contract one summer to put a crew together to construct the road from the Semiahmoo Trail to Crescent Beach which until then was only accessible by a rough road and by rail. I may be biased, but I think this road remains one of the loveliest drives in Surrey since it follows the lay of the land instead of being arrow straight as are most of the other roads. A real sense of community developed and the settlers organized themselves for work bees to help neighbours erect barns and help each other with the harvesting. By the turn of the century the people of Tynehead must have looked forward to the future with a real optimism. The homesteaders were willing to grant parts of their homesteads so that schools and a park could be of benefit to all in the community. 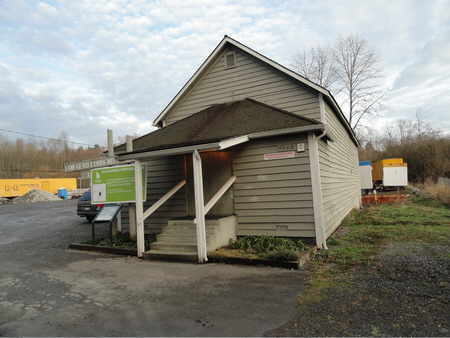 The first school was built in 1891 on land granted by William Bothwell, and was located on the southwest corner of Townline and Coast Meridian Roads (96th Avenue and 168th Street). The second was built, in 1908, two miles south on Coast Meridian and Kennedy Road (168th Street and 88th Avenue) on one acre donated by James Bothwell. Bothwell Park was granted by that family to the district. Even though Tynehead and the City of Vancouver both started as settlements around the same time, it is Tynehead that remains recognizable from its early start with the gas station, small store, park and Community Hall still in place after all these years. The Tynehead has been the focus for community activities. It is considered a heritage building and presently being updated with its heritage character being maintained. That sense of community sometimes worked against progress. The settlers wanted to have telephones in 1914, but on their terms. They let the B.C. Telephone Company know that they would supply the poles and the cross arms as well as dig the pole holes in return for a reduced telephone rate. A formal agreement was signed by all. It was not until the next year that the company doubled the rates for the telephones, and when the folks protested, the company pointed out that in very fine print on the back of the signed agreement was a provision that the company would own all the telephone equipment and could set new rates after one year. Of course the protest included almost everyone in Tynehead handing in their telephones. The company took down all the poles, cross arms and wire in the 1930s, and telephone service was not restored to Tynehead until the 1950s. Electricity did not arrive in Tynehead until 1943. Tynehead lacked the one thing required for urban growth. 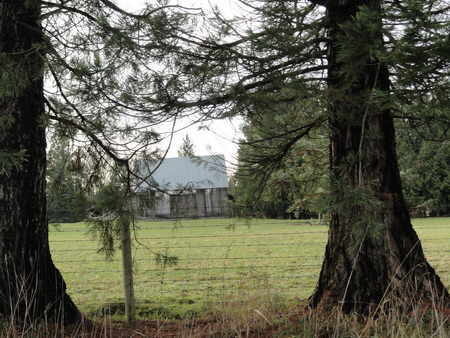 Unlike Cloverdale or Langley Prairie during the same period, it lacked a busy transportation corridor. In some ways it may be said that it became an isolated backwash. The housing and townhouse developments are coming closer to the old community as this history is written (2010), and it is hoped that something more than the restored Bothwell house or the community erected Atchison barn may remain to remind future generations of the hopes and dreams of the Tynehead pioneers.